Institute of Banking Personnel Selection (IBPS) conducts exams for the selection of different posts in PSU and RRB every year.And if we compare selection procedure and cutoff of both SSC and IBPS exams, one has a fair chance for the aspirants to get a banking job smoothly and fast through IBPS exams compared to the SSC exams. As, Staff Selection Commission(SSC) takes a long time to complete its process and even after that, the respective departments also takes more than 6 months to give joining letter to the students. Whereas, IBPS takes Online exams and declare result within a few weeks. It also declares its provisional list of bank allotment on time specified in its notification. 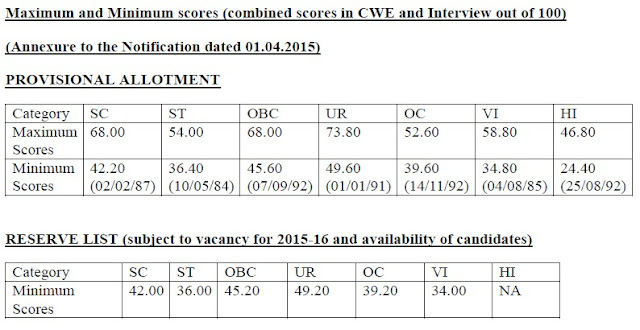 - The cutoff of IBPS keeps varying according to the vacancies of that year. One should be aware that there is Sectional Cutoff means one has to score minimum marks in each section + total sections. You can't skip any one section in the exam. Hence, be practice each and every section to score and qualify for the interview. In 2013, the cutoff of Probationary Officer(PO) was 61 out of 200 for UR, compared to 2014 PO exam the cutoff was 82 for the general category..As, vacancies in the year 2013 are nearly 21400 and for year 2014, it was 16700+. Hence, it affects the cutoff of IBPS written exam and final merit. - Clerk exam cutoff depends on State-wise, instead of Country-wise. Because, Clerks have to work in a state in his/her whole service. 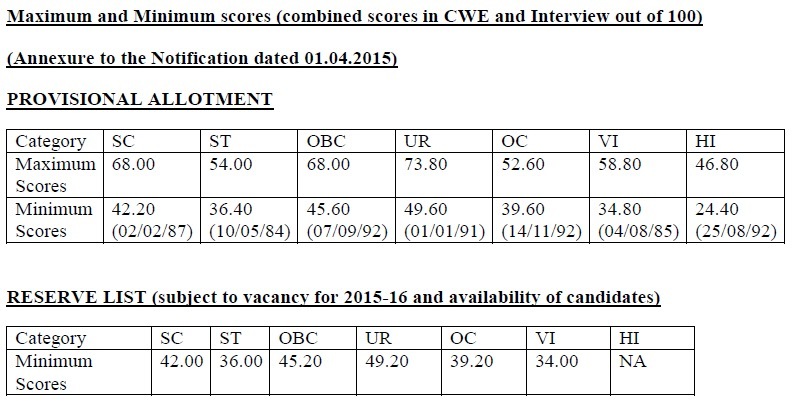 So, the cutoff of each state comes different and the competition also increases the cutoff the exam. Those who want to check state wise cutoff- Click here. - Final merit list of IBPS is based on Written exam and Interview with the weight-age of 80:20 respectively. - In IBPS selection procedure, written exam weight more than the interview. IBPS has divided the weight-age in the ratio of 80:20 of written:interview. So, scoring and preforming better can fetch you a PSU bank job. - Example: student has scored 95 in written out of 200. So, marks out of 80= 95/200*80 = 38. And, he gets 60 marks in interview out of 100. So, marks out of 20 = 60/100*20 = 12. Hence, the marks obtained for final merit will be equal to 38+12= 50. This how a student gets marks in the final procedure of IBPS and makes him/her eligible for Provisional allotment. - If we compare the cutoff, 95+ may be considered a safe score in PO exams and scoring 60 marks in interview, will definitely gets his/her name in the Provisional list. We can only predict it on comparing the cutoffs of previous this may also varies with the vacancies available to IBPS for allotment. - Whereas, it is difficult to find out the safe score in IBPS clerk exam as it comes state-wise and each UT and State has its own merit and vacancies. Comments "Safe score for IBPS PO/clerk exams"